Isiah Factor | The Insite » NEIMAN MARCUS TO THE INSITE: WE DON’T TAKE YOUR KIND OF MONEY! 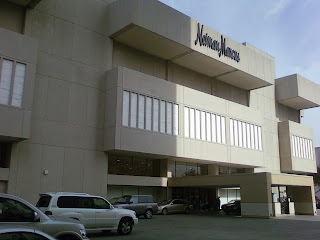 NEIMAN MARCUS TO THE INSITE: WE DON’T TAKE YOUR KIND OF MONEY! 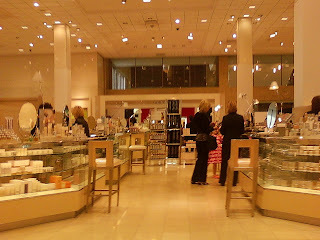 December 30, 2008 | Posted in Uncategorized | Comments Off on NEIMAN MARCUS TO THE INSITE: WE DON’T TAKE YOUR KIND OF MONEY! I’M TAKING MY BROKE BUSINESS BACK TO WALMART! All you Insite readers know I’m a Walmart / Macy’s type of guy. Anything beyond that is way out of my league. So here goes. I had a little extra time on my hand Tuesday when I drove to Houston. I decided to stop in the Galleria Mall. That was mistake number 1. I hate the Galleria because I always get lost. I don’t know one end from the other. And let’s be honest, a local yocal little tv reporter can’t really afford some of those stores so why fool myself. Imagine me trying to buy a suit in Armani. The police would arrest me for wasting the time of a sales rep. Anyway, I ventured in to the Galleria just to waste some time. I stopped in Neiman Marcus. Why? Who knows. But I saw a belt, shirt, sweater, and tie I liked so I decided to buy the items. I get up to the clerk and pull out the Visa. She looked at me like I had boo boo on my face. She said sir we don’t take Visa. I thought it was a bit odd so I went for the Mastercard. They don’t take that along with my Discover. I wondered to myself what is going on here. Sears loves these cards in my wallet. Do I need to pull out a pot of gold or some confederate money for this snobbish store. By the way, do you ever notice the people who work as clerks at high end stores try to act like they’re rich snobs knowing full well they can’t shop there? These people are a trip. I hate to go there but they’re making just above minimum wage and they try to treat you like you’re wasting their time. Did I tell you how a clerk at Macy’s (the Walmart of the Galleria) called me cheap behind my back at the store in the Woodlands. Another clerk who calls me about specials told me. But his insult was a compliment to the Insite. But back to the subject at hand. The clerk at Neiman’s told me they only accepted Neiman’s credit card and American Express. I said well that’s okay because I don’t have those and started to put my stuff back but then she noticed my checkbook in my wallet. She said we’ll take a check. Notice how she didn’t want to lose that sell. So feeling very strange because I haven’t wrote a check to a department store in years I filled out the bank draft. I had my stuff and was on my way. But what kind of store only takes two forms of plastic. That’s crazy. One clerk standing nearby told me that has long been a pet peeve for them. She said that causes the store to lose a lot of customers. I know exactly what she means because I was out of there until she spotted that checkbook. I kind of wish it would bounce. Just a slice of life from the Insite!